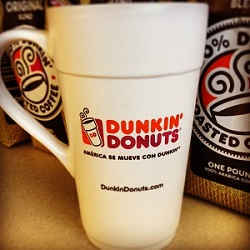 “América Se Mueve Con Dunkin’”, which is the equivalent of our signature “America Runs on Dunkin’” tagline in Spanish, is one of our themes this month. This tagline plays a creative and significant role in helping us identify meaningful opportunities to build brand loyalty and deepen our relationships with our multicultural guests. 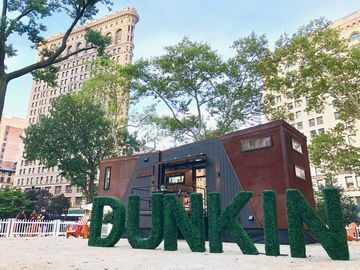 Last year, Dunkin’ Donuts became the first national coffee retailer to make its website, mobile and Facebook platforms available in both Spanish and English, and last week we went one step further with the launch of @DunkinLatino, which caters to the Spanish speaker. We recognized the need for a Hispanic social platform and created one so our guests have an inclusive place where they can engage with us, no matter what language they speak. With this platform, we’re posting both relevant content and an original lifestyle element that all consumers can enjoy. 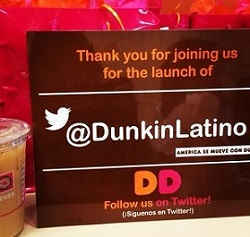 We want to have a genuine relationship with our fans and as the Hispanic community continues to evolve, launching our dedicated @DunkinLatino Twitter handle was a clear next step in our continued commitment to all our guests. In order to successfully launch @DunkinLatino and to share our excitement, we hosted a breakfast for key influencers from the Hispanic community at a Dunkin’ Donuts and Baskin-Robbins combination restaurant in New York City. 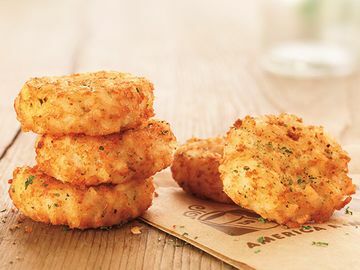 During the event, guests were treated to some of Dunkin’ Donuts’ favorite menu items, including various coffee beverages, the new Blueberry Cobbler Donut, Iced Green Tea and our new Grilled Chicken Flatbread Sandwich, just to name a few. While they enjoyed sampling our products, myself and Dunkin’ Donuts Executive Chef, Jeff Miller, provided details on the brand’s increasing efforts in reaching the Hispanic community. 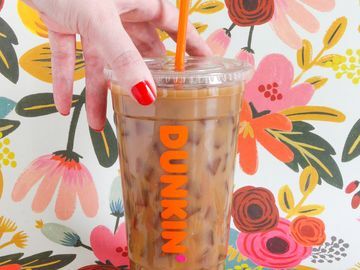 To share our excitement of this launch with our consumers, we also kicked off a national Twitter sweepstakes that lasts through July 3, where we’re asking our @DunkinLatino fans to pay-it-forwarDD. Fans who follow @DunkinLatino and pay tribute to their friends by using the hashtag #MiDunkinEsTuDunkin will be entered to win a $100 Dunkin’ Donuts card for themselves and for their friend. One grand prize of a $1,000 American Express gift card will be awarded to a “BFF” duo at the end of the sweeps. For additional terms and conditions, please visit http://dun.kn/TaMvyp. All in all, the day was a tremendous success and allowed us to take a sizeable step into fostering an even better relationship with the Hispanic community. This effort marks an exciting moment for us as we continue to evolve and strive with this passionate community. 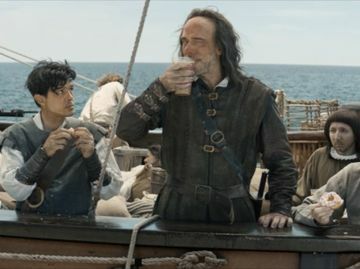 Thank you to everyone who attended the event and participated in our Twitter party. We’re very excited about the launch of @DunkinLatino, and we encourage you t to join the conversation by tweeting us at @DunkinLatino.